Year 8 pupils can find themselves at a loose end at this time of year as their drive and focus towards entrance exams no longer applies. 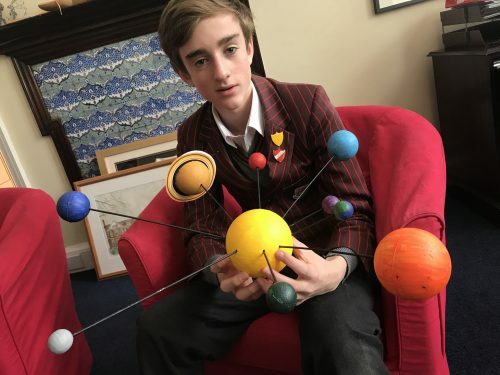 Therefore it takes the creative, curious and inspired to find ways to engage beyond expectation…Archie has certainly done this through a simple project looking at our solar system. Mr Chatzianastasiou was so impressed with Archie’s response as were the numerous pupils coming through the Science Labs who thought that this was a bought resource! Well done Archie…it makes a great centrepiece to my office making me feel rather small! 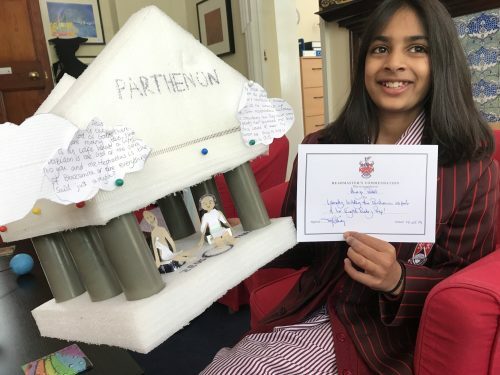 We have recently had architects plans and scaled models in my office for a number of exciting building projects due to be unveiled soon…so seeing the Parthenon on my coffee table didn’t fully surprise me at first glance – we are aiming high! However, Anaya came to join me this afternoon and explained that this was a response to a poetry prep set by Mrs Leacock! 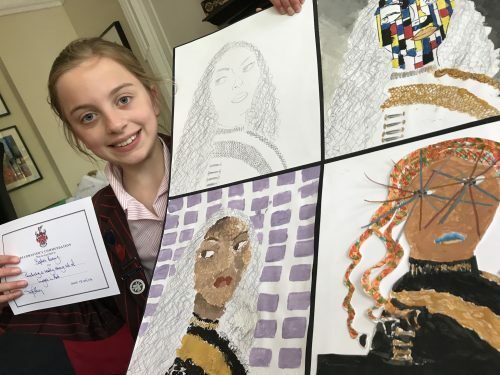 What a stunning piece of work that thoroughly deserves a Headmaster’s Commendation…well done Anaya! I love the way that the poetry sits in clouds around the structure. 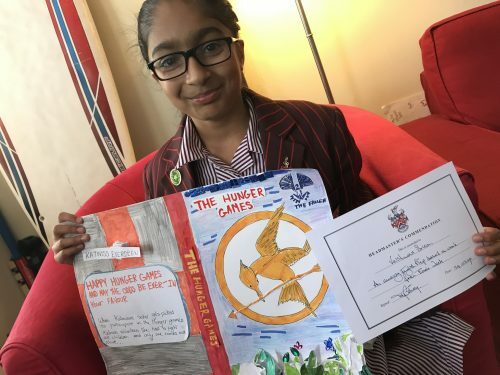 Staying with the English Department, Emma and Vaishnavi were inspired to go above and beyond by branching into the world of publishing and creating some very professional book sleeves. 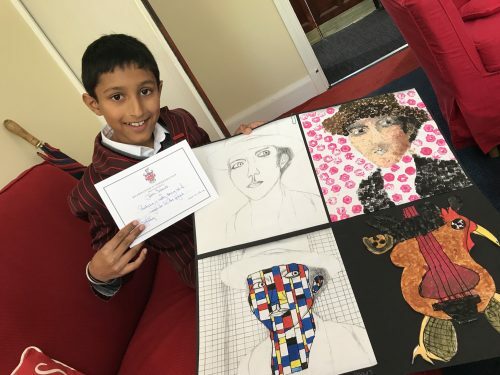 The attention to detail is phenomenal with inviting blurbs, great artwork and a clear passion that can only come from a true and deep love of reading…well done to both Emma and Vaishnavi! 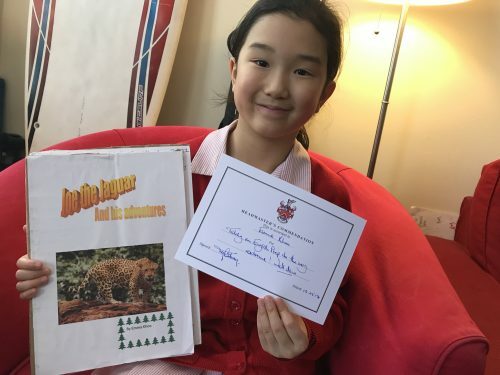 Friday afternoons are a real treat for me as pupils come through with such a sense of pride…it really does make my day!